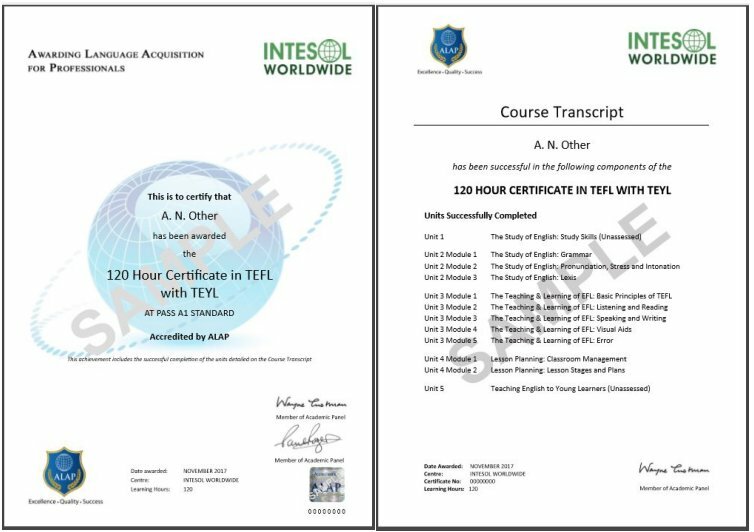 The INTESOL accredited 120 hour Certificate in TEFL with TEYL online is the minimum accepted certificate course for teaching English overseas. When you begin teaching English abroad some, if not all, of your classes will involve teaching young learners. This TEFL course includes a module on teaching young learners, so you’ll be fully equipped with the skills that are in high demand by TEFL employers worldwide. You’ll learn the best ways to make classes fun and engaging for both you and your students, ensuring that your experience is a rewarding one. 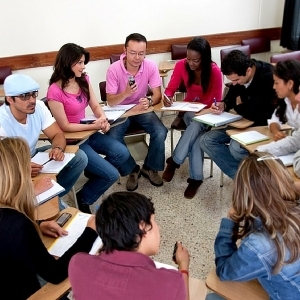 This 120 Hour TEFL contains a module on teaching English to young learners. This additional knowledge will not only be invaluable to you when you begin teaching, it also means you’ll be able to demonstrate specific skills that are in high demand by TEFL employers. We’ll make sure you stand out from the crowd! The 120 Hour TEFL course is externally accredited, meaning the content and teaching methods have been scrutinised externally to meet industry standards. This means you can be sure you’ll participate in a fruitful learning experience. The 120 Hour Certificate in TEFL with TEYL online course is accredited by ALAP (Awarding Language Acquisition for Professionals), a UK based Awarding Organisation. ALAP is an accrediting organisation that specialises in the ELT industry. The overall aim of the 120 hour Certificate in TEFL Course is to provide a sound introduction to TEFL / TESOL and prepare you for teaching in the real world. Within twenty four hours of enrolling in your online TEFL course you will receive your login details for the INTESOL Online Campus. The course consists of five units (a total of eleven modules). Each module has a lesson that you will study at your own pace and an assignment that you will submit for grading by your tutor. When your assignment has been graded you will receive a notification by email and be able to view your grade, plus any guidance and feedback, in your online grade book. The grade book allows you to easily monitor your progress as you work through the lessons and complete the course. If you happen to fail a module, don’t worry, you will be given the opportunity to re-submit your assignment after a little extra coaching. The length of time it takes to complete the TEFL course depends on your other commitments. There are approximately 120 hours of work in the course. As a general guideline most students complete the course in approximately 8 weeks, however if you require more time this is not a problem.